Epigenetics upends natural selection and genetic mutation as the sole engines of evolution, and offers startling insights into our future heritable traits. In the 1700s, Jean-Baptiste Lamarck first described epigenetics to explain the inheritance of acquired characteristics; however, his theory was supplanted in the 1800s by Darwin’s theory of evolution by natural selection through heritable genetic mutations. But natural selection could not adequately explain how rapidly species re-diversified and repopulated after mass extinctions. Now advances in the study of DNA and RNA have resurrected epigenetics, which can create radical physical and physiological changes in subsequent generations by the simple addition of a single small molecule, thus passing along a propensity for molecules to attach in the same places in the next generation. Epigenetics is a complex process, but paleontologist and astrobiologist Peter Ward breaks it down for general readers, using the epigenetic paradigm to reexamine how the history of our species—from deep time to the outbreak of the Black Plague and into the present—has left its mark on our physiology, behavior, and intelligence. Most alarming are chapters about epigenetic changes we are undergoing now triggered by toxins, environmental pollutants, famine, poor nutrition, and overexposure to violence. 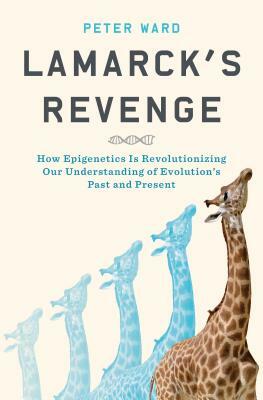 Lamarck’s Revenge is an eye-opening and provocative exploration of how traits are inherited, and how outside influences drive what we pass along to our progeny.